I know that it's a few days late, but we have our big 4th of July festivities today. Every year we go up to our friend's cabin for a "Lobster Fest." The hosts make all types of seafood, potatoes, corns, etc. and everyone else brings something to share. 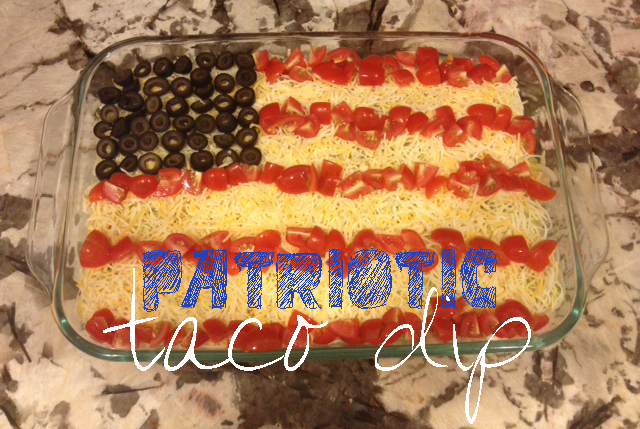 This year, I'm bringing "patriotic" taco dip. The recipe is really easy and quick to whip up and you can use the additional toppings to turn the dip into something fun for any party.